Cash back terms and exclusions: - Only purchases made on Lookfantastic CN site are eligible for cashback. - Up to 2% cash back on Health Electricals, voucher code, and beautybox. 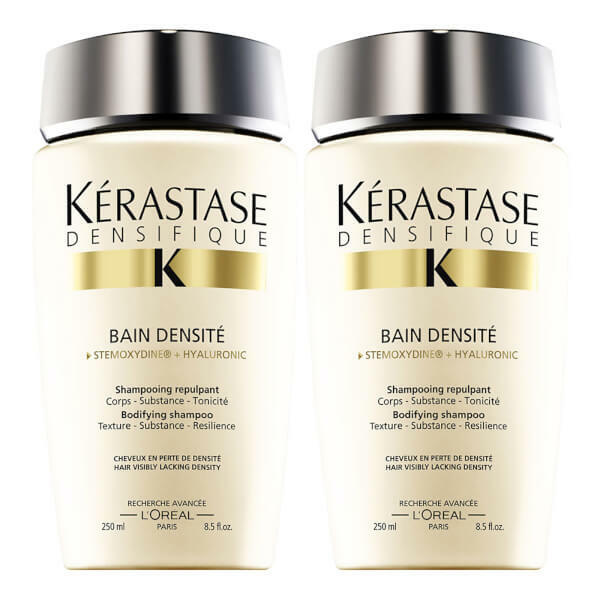 Kérastase Densifique Bain Densité gently cleanses your hair, whilst making it feel denser and more resistant to damage. Formulated with Stemoxydine® and hyaluronic acid, it will plump up the hair fibre to create a fuller and thicker appearance, so you hair feels volumised and full of bounce. It's the perfect choice of product for fine or thinning locks.